The Jeep manufacturer has perfectly merged styling, capability and advanced tech features all in one, and as a result, there is the new Jeep Compass. The 2017 Compass has arrived as the replacement for the outdated Compass and Patriot models giving it more sophisticated look and advanced features. The 2018 Jeep Compass has been presented already, and since it has been fully revised as the 2017 model year, it hasn’t brought many noticeable changes. As well, we assume that it will be the same case with the newest version of this model which will enter the showrooms as the 2019 Jeep Compass. 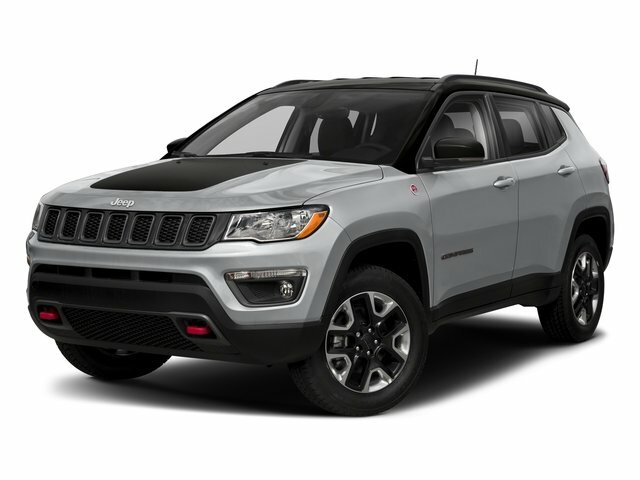 The Jeep Compass represents one of the brand’s most affordable SUV in the offer, standing between the smaller Renegade and the larger Cherokee. Besides its price, the Compass looks pretty good, it offers cozy cabin and it is quiet. When we compared it to the other compact SUVs, the Jeep provides excellent off-road capabilities, especially in the Trailhawk trim. However, what you won’t like about the Jeep Compass is its slow acceleration and not so responsive 9-speed automatic transmission. The new 2018 Jeep Compass will arrive majorly unchanged since the 2017 model has been completely overhauled with more attractive exterior and more refined interior design. So, the 2018 Compass should bring just some small adjustments in the technology and a limited-edition model. As well, we also might see one or two new exterior colors. So, although there is still no any official information, we assume that the 2019 Jeep Compass shouldn’t differ much for the current model. We might see some improvements considering technology but nothing large since it is still fresh and competitive. Furthermore, it will continue to be available in following trim levels: Sport, Latitude, Trailhawk and Limited. The will also be the Compass Trailhawk which will show impressive off-road capabilities. Its main competitors will be Subaru Crosstrek, Chevrolet Equinox, and Honda HR-V. Under the hood of the newest 2019 Jeep Compass will be placed the same engine used in the current model and there will be one single option for all the trims. It is a 2.4-liter 4-cylinder engine which is able to generate 180 horses and the torque of 175 lb-ft. The front-wheel drive will be standard while the all-wheel-drive system will be optional. The engine will pair with a six-speed manual or automatic while the all-wheel-drive version will be mated to a 9-speed automatic gearbox. The fuel economy will depend on a drivetrain and transmission. So, with front-wheel drive and manual gearbox, it gets 23 mpg in the city and 32 mpg on the highway. With all-wheel drive and manual transmission, it is rated at 22/31 mpg. We can expect the same numbers for the FWD and automatic gearbox. With all-wheel drive and automatic, it will get 22 mpg in the city and 30 mpg on the highway. The 2017 Jeep Compass was fully refreshed, so we don’t expect any major changes to the 2019 Jeep Compass. 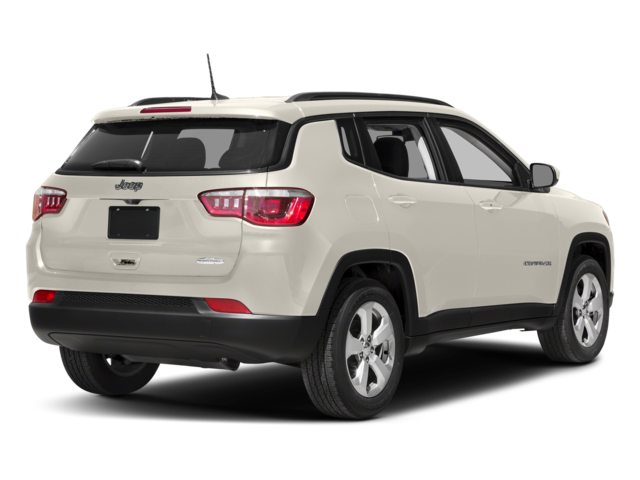 The Compass looks like the smaller version of the Jeep Cherokee which by itself is very attractive and eye-catching. 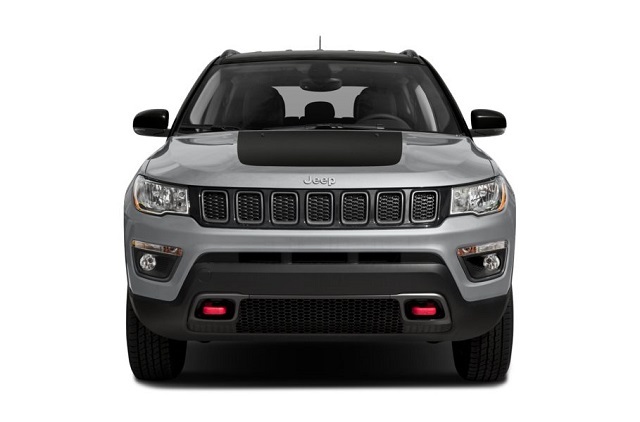 The black two-tone roof will be standard on the Limited and Trailhawk models. The Limited models will get more chrome details while the Trailhawk will get a more rugged appearance. It will ride on the standard 17-inch wheels. 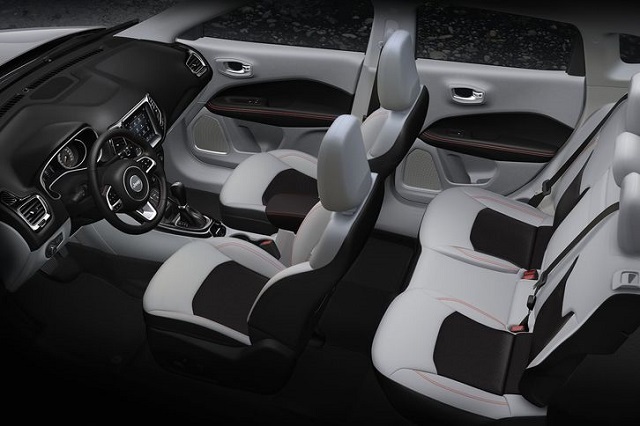 Speaking of the interior design, the 2019 Jeep Compass will be sufficiently spacious to welcome up to five passengers. The cargo room is also pretty generous offering 27 cubic feet of the space. If you fold the rear seats, you get 60 cubic feet of space which is great. The dashboard will feature a standard 5.0-inch touchscreen while the Trailhawk will get a larger 8.4-inch display. Speaking of the equipment, it will come standard with the audio system with 6 speakers, Bluetooth, keyless entry, a rearview camera, voice control, push-button start, ambient interior lighting etc. The navigation, blind-spot monitors and power-adjustable driver’s seats will be optional. 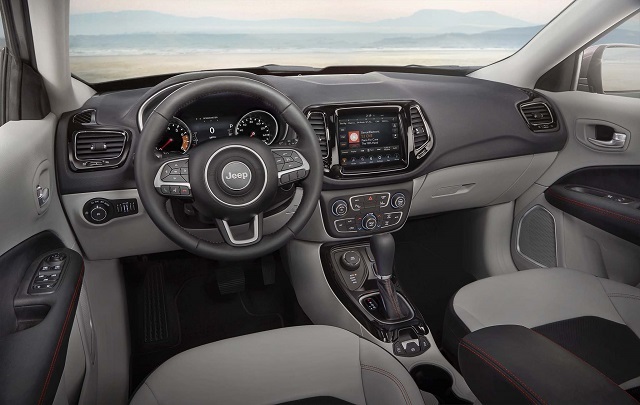 The Trailhawk will add leather upholstery, dual-zone climate control SiriusXM satellite radio and Apple CarPlay and Android Auto connectivity. The carmaker still hasn’t said anything about the arrival of the 2019 Jeep Compass and when we could expect it. As for the price, we believe that it will be almost the same as the current model. It starts at around $22,000 and goes up to the $34,000 for the top-ranking trims. will the 2019 limited compass come with memory seats? 1&2 settings for memory seat adjustmemt?